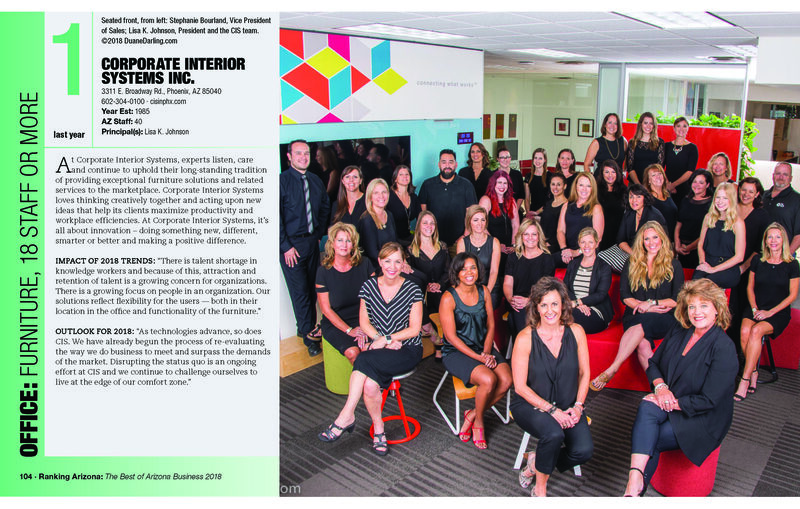 CIS was voted #1 in the office furniture category for Ranking AZ for the 7th year in a row! We are so thankful to everyone who voted for us and has supported us over our 33 years in business. This is a recognition we are truly honored by and proud of. We will continue to devote ourselves to our clients and partners, providing them with our best services and space solution expertise. Voting is now available for 2019 and we would love for you to vote! Click here to vote. To find the furniture nominees, go to Business Services-Office Furniture Companies. Thank you again for your continued support AZ!